Holidays are over and home school has started. It’s almost dinner time and I’m taking a rest before our family moves on to the evening routine. I’m exhausted and I wish we could just skip dinner and all go to bed. I probably should of taken a break earlier today before this tired feeling came upon me. I’m not off to a good start this year. Last year I was exhausted most of the time and had too many meltdowns. I want to do things different this year. Right now I sense God asking me this question. Where does your source of strength come from? My source of strength comes from resting in you God. I feel peace when I leave my worries at your feet and trust you to take care. It’s worry that drains me and makes me weary. 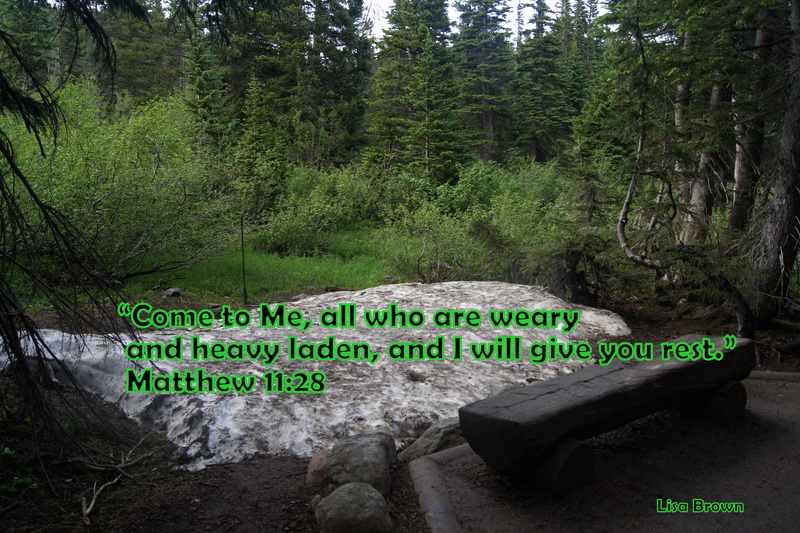 God understand when we are weary. He loves us too much to leave us there. Let’s pace ourselves this year and rest daily before God. Momma’s Kick Off Your Shoes and Stay For Awhile! Thank You Rachel. I’m glad this was right timing for you and others.